Happy Monday! I'm sure you all know by now that I love a good cardigan. You can't beat this "grandpa" cardi for under $50. How funny is it that they're calling it a grandpa cardigan? You know its cozy when they give it a name like that that, haha! 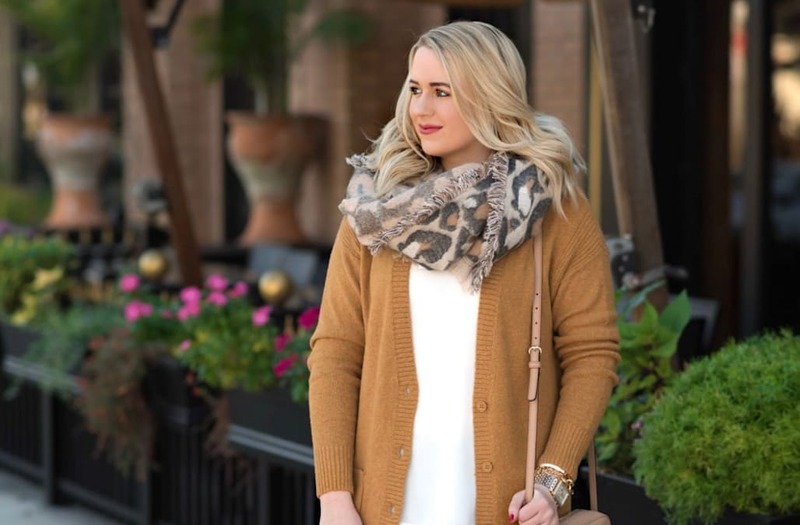 I lived in this cardigan this past weekend and paired it with this adorable leopard print scarf that I currently can't get enough of. It's fun to add a bit of color to the sea of dark colors around this time of year! But If this isn't your color, it comes in a total of 4 different ones to choose from. I have my eye on the "ivory eggnog" next! ​​​​​​The post Cozy grandpa cardigan appeared first on Fancy Things.